Just like the eyes being the window to our soul, the face paints a picture of our overall health. If we're not feeling well our skin can look dull, if we're tired we get dark circles, and if our body isn't getting the nutrition it needs to keep on ticking then guess where those built up toxins make themselves known? Yep, on our face. Spots, oil, congestion and the slow healing of scars are all tell tale signs that our bodies aren't in the best shape. 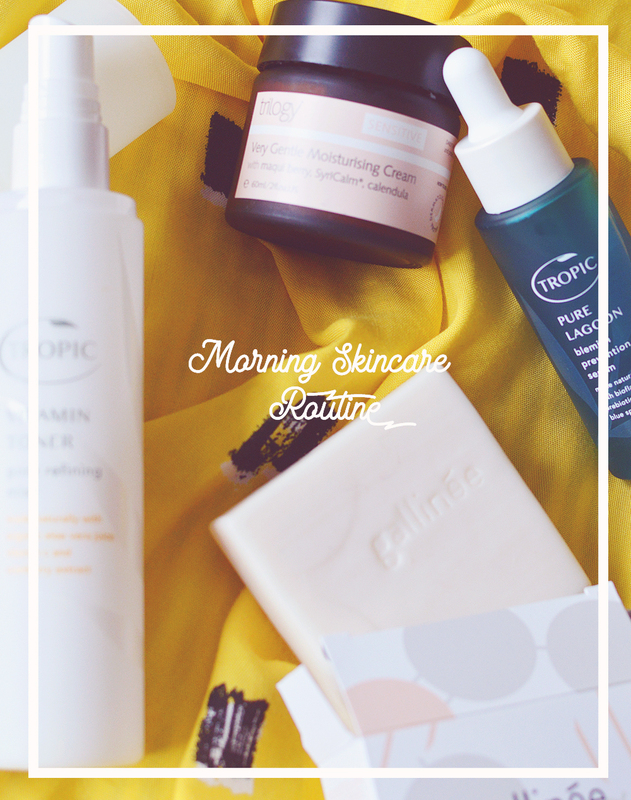 A good few months ago I decided to take charge of my skin problems and start eating well. I've cut down on refined sugar, gluten and diary products.. I haven't eliminated them entirely as I'm partial to a peach yogurt or two and a good cinnamon waffle, but I've swapped milk for the almond variety, picked up gluten free pasta and snack on fruit, nakd bars and raw chocolate when I'm peckish. I also introduced a whole host of superfoods into my diet from Organic Burst and am now a true believer in the power of a good superfood. I started off with Wheatgrass powder and the Acai capsules, now capsules are easy to take but the powdered wheatgrass did take a little getting used to as it is quite grassy tasting (though not actually that unpleasant). I add it to smoothies or mix it with simple fruit juice that's not from concentrate to disguise the taste a little and make sure to mix it into as little juice as possible to get it down in one or two gulps. Wheatgrass is amazing at detoxing and purifying the body thanks to it's alkalising properties, it contains manganese chlorophyll and potassium as well as high levels of vitamin A which is key for healthy skin. Acai Berry has 7 times more antioxidants than blueberries, it is high in Omega 3, Vitamin E and polyphenols as well as the Omega 9 oleic acid. It is amazing for protecting our cells from free radical damage, helps maintain a healthy nervous system and nourishes the skin. With the combination of these two I was feeling really good, I noticed I had more energy and my skin was starting to clear up. But of course curiosity got the better of me and after reading the wonders of Baobab and Spirulina I had to get them too. Baobab also comes in powder form so I simply add it to my wheatgrass juice mix or smoothies, it smells strange like sour citrus but it has quite a mild taste, a little fruity and I can't really taste when other flavours are involved. Baobab is amazing for energy levels, with a high vitamin C content along with iron, copper and potassium. I decided to get my Spirulina in tablet form as mixing more powder would just be a farce, plus it has quite a strong smell so I can imagine it doesn't taste all that nice no matter how many delicious fruits you add to your smoothie. Spirulina is the daddy of superfoods with so many nutrients we may be here all day.. from Iron to a whole host of B Vitamins. It aids the immune system, supports concentration levels and a healthy heart, plus it is rich in protein to balance blood sugar levels and curb sweet cravings. The protein in spirulina is four times more absorbable than protein in beef! pretty impressive huh. I've been taking these the least amount of time so it's a little early to tell but I have noticed less sugar cravings! success. The proof really is in the pudding though (mmmm, pudding) and I haven't had one hormonal breakout in months, no spots at all really which is genuinely amazing for me and I couldn't be happier. I think the Acai was really helping with my dermatitis too as when I started to ration the capsules to just one every other day until I finally ran out my dermatitis flared up again! Generally with healthier eating and supporting my diet with additional nutrients I feel so much better, with a lot more energy and a new found willpower to resist when my boyfriend waves a chocolate orange in front of my face. Have you tried adding a superfood or two into your diet? That's great that you've seen results from these! I do agree it definitely shows on your skin when you're eating badly. I try to eat as healthily as possible but working in a cake shop makes it pretttttty difficult sometimes...mmm Strawberries & Cream cupcakes...delish! Anyhoo...I might try the Spirinula in tablet form as I could not take a powder I'm too fussy aha! This is amazing, so pleased you've had good results from this! It's really interesting, and something I might consider myself. I am always so happy to read that healthy eating helps people to get clear skin. I find for myself that sugar (fruits as well), gluten, dairy and fried foods are the worst offenders, but it is so difficult to avoid all of them! But superfoods definitely make it easier to take good care of our bodies. 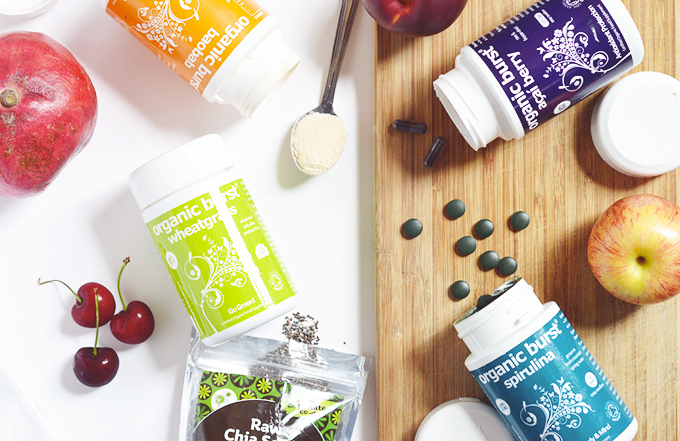 I cannot live without my Chlorella capsules, it helps so well with digestion! And I would really love to try wheatgrass and baobab powders. I added spirulina and ginko biloba to my daily regimen a few months ago and agree- super awesome- so glad I did!